The Vale Community Centre is available for hire - for parties, meetings, classes, social events, whatever! The Vale Community Centre is owned by Brighton and Hove Council, but run and maintained by volunteers of the Craven Vale Community Association for the benefit of all. The main room is some 15 feet wide by 25 feet long - but only seven feet high, so no good for table tennis! It has modern trestle tables and around 30 chairs. It has a fire certificate for up to 30 people, and is fully licensed for music. Wireless Internet is freely available and it has a telephone (01273 571573). 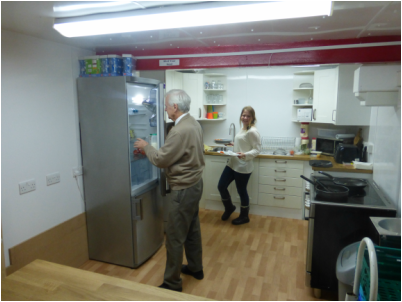 It now has a much-extended kitchen, with freezer and oven and is ideal for cookery lessons and demonstrations. The Vale has disabled access and a (disabled) toilet. 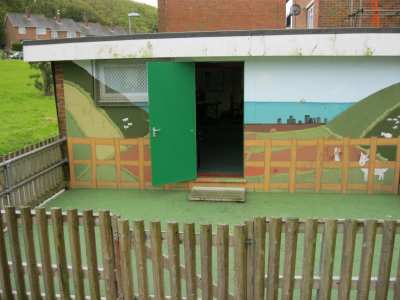 There is also a fenced outside area, ideal for playgroups, with a rubberised surface and direct access from the Community Centre. Craven Vale is now in a parking zone, part of Zone I. There is one four-hour pay-and display space in Hadlow Close, and others nearby in Craven Road and Queensway. And it is cheap to hire! For residents of Craven Vale and Baker's Bottom, the cost is five pounds an hour. 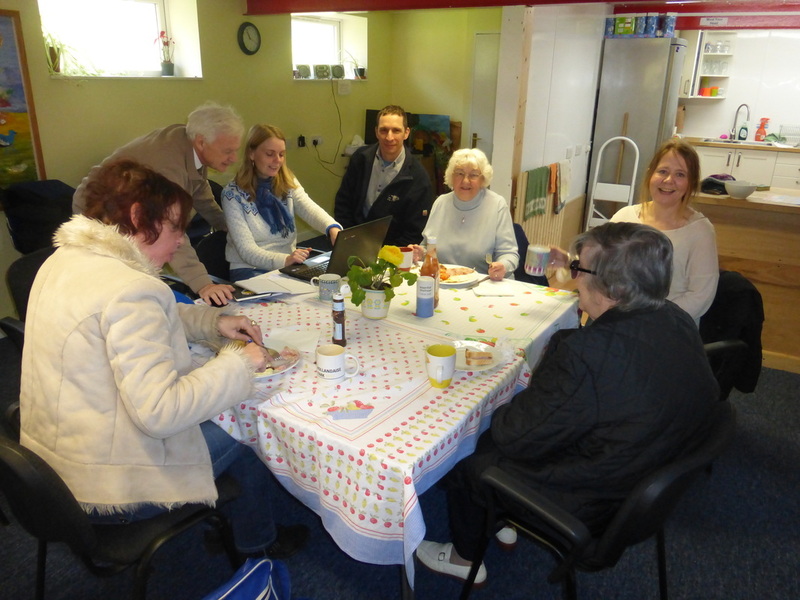 Members of the community at The Vale Community Centre mid-week cafe. Outside The Vale Community Centre is a play area with a rubberised surface.